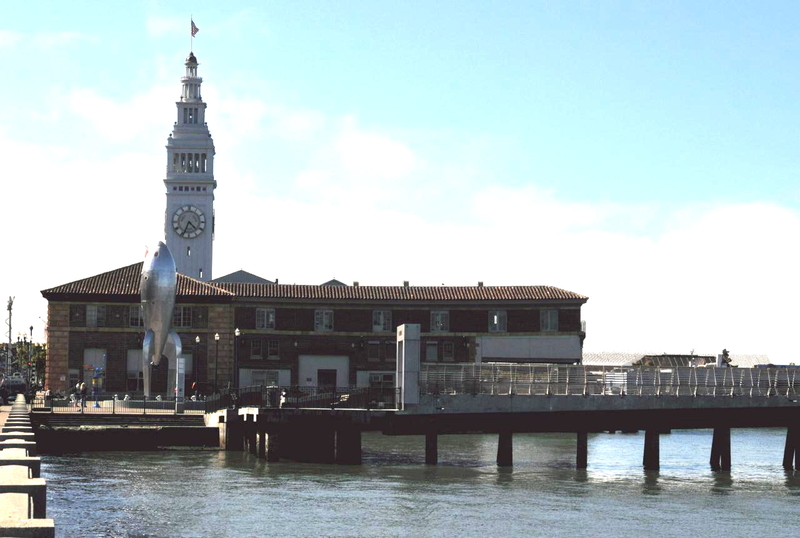 The sculpture was set up in the area called Tidal Plaza near the foot of Pier 14. 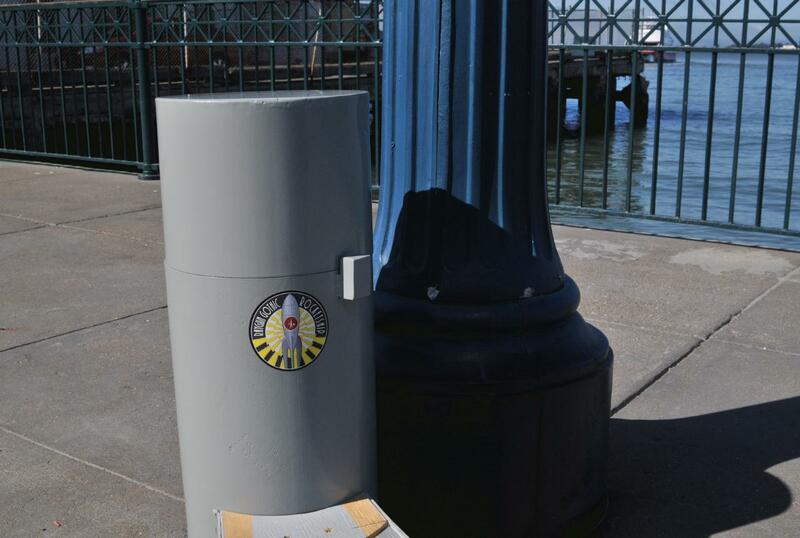 From a distance the rocket appeared small because the Ferry Building tower rose high over it. 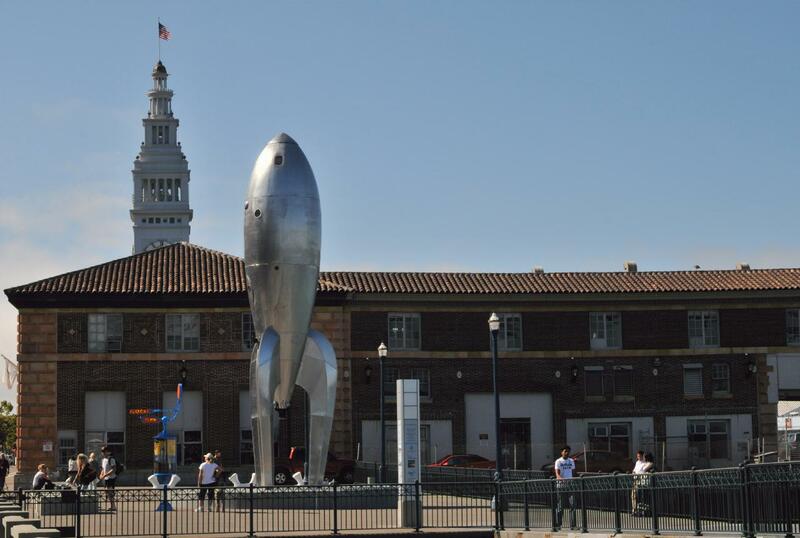 Closer, the rocket began to appear large because people could be seen walking around its base. 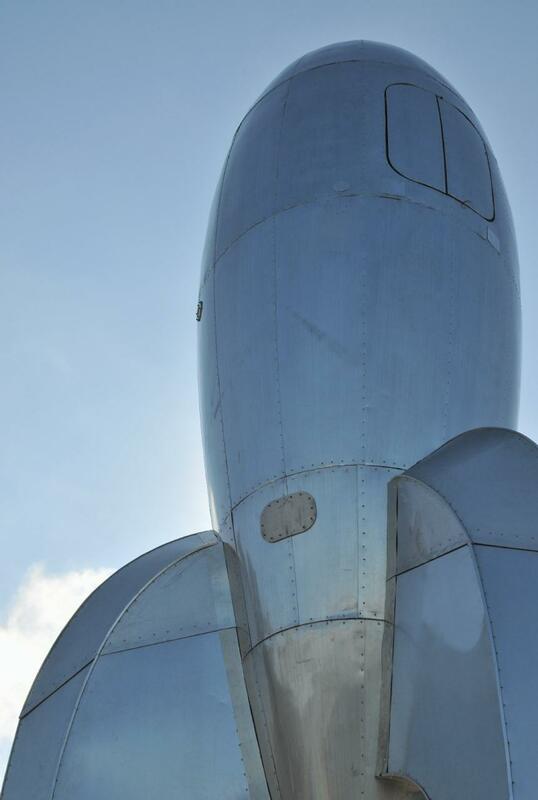 The rocket is actually 40 feet tall. 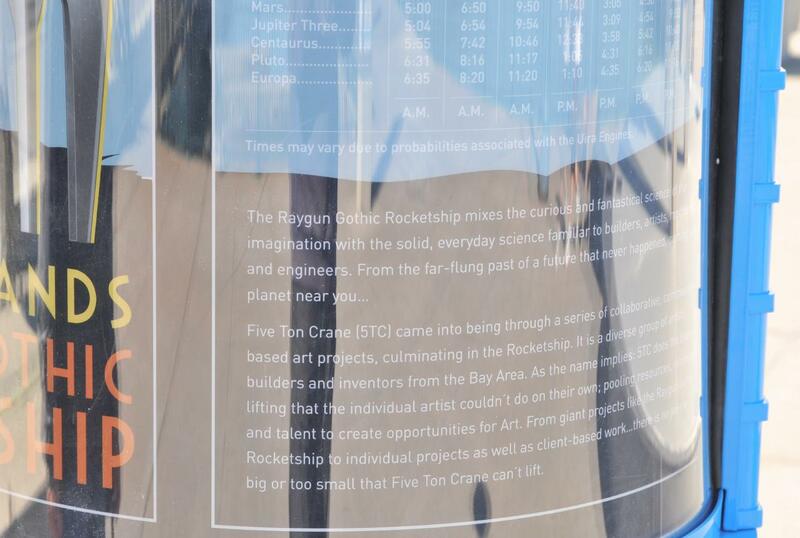 Installed on the street side of the rocket was a tourist sign describing the rocket's schedule and routes. On the back of the sign was a schedule of flights. Arrival at Pluto, for example, was scheduled for 6:31 A.M. No indication was given about whether the times were Earth times or times local to the other planets and moons. 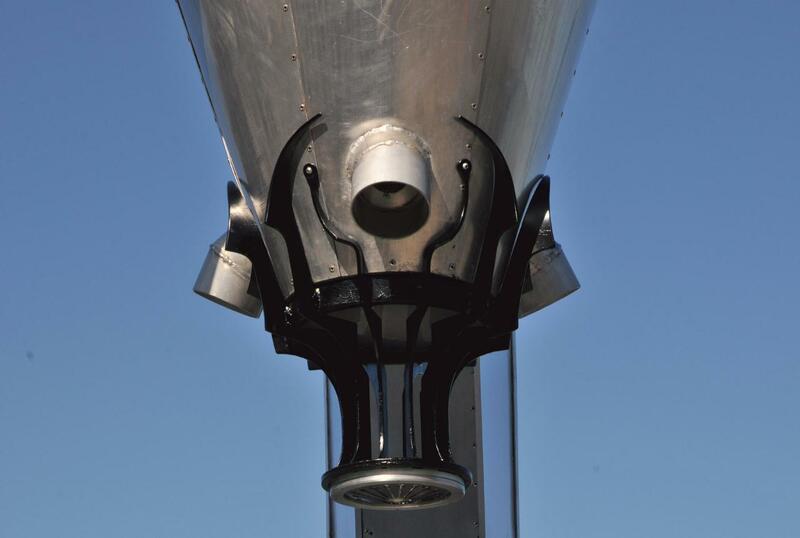 The exhaust nozzles were a work of art unto themselves. What appeared to be a fueling collar was attached to only one side of the ship. 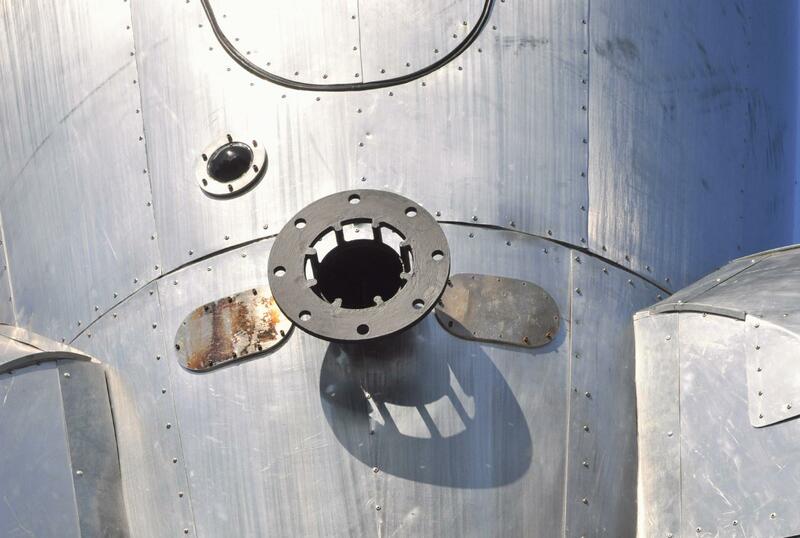 One of the hatches found in the side of the rocket. This one had a viewing port. 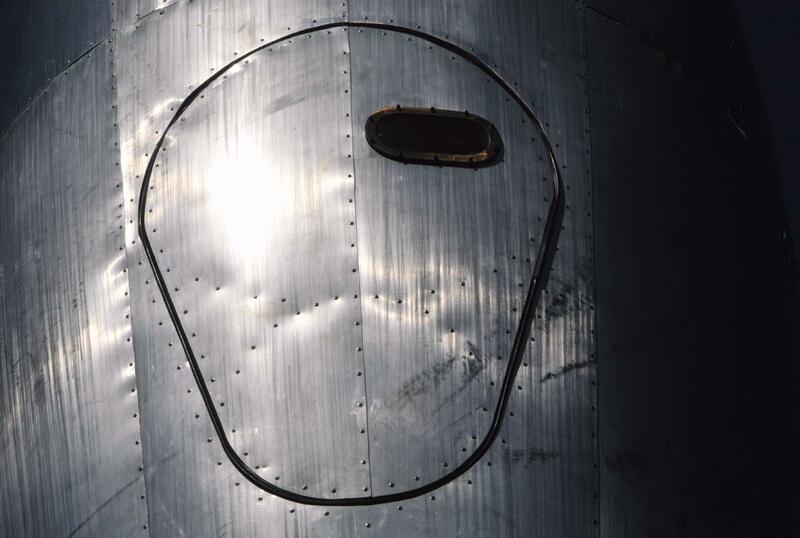 The other hatch was far up on the top of the rocket. One of the rocket legs stood on the concrete below. 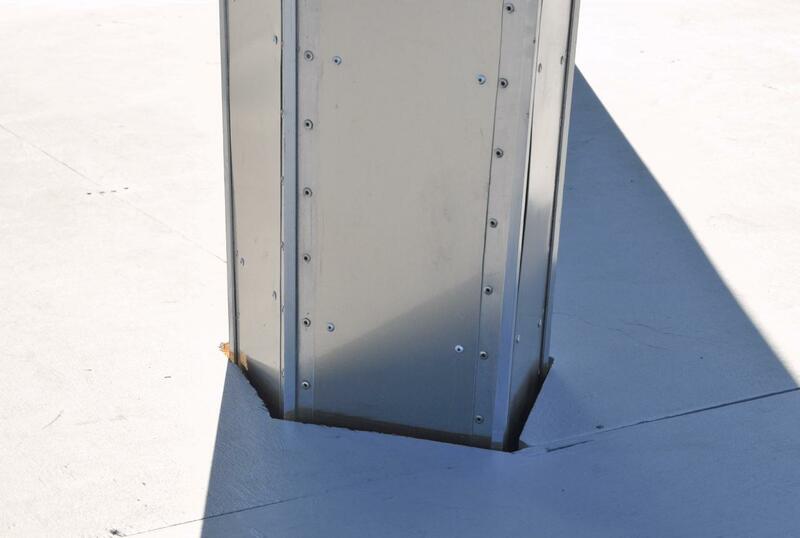 A round elevated plywood stage was constructed around it. 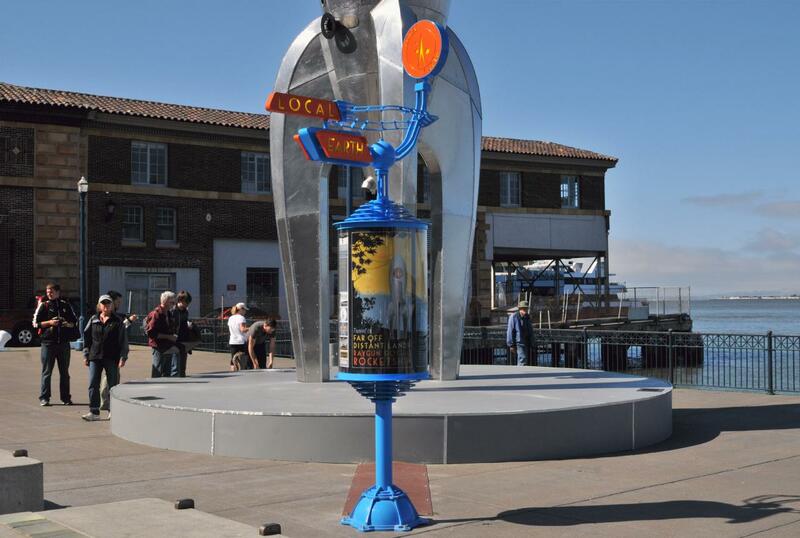 A cylendrical box was set up next to a lamp post so that it could tap into City power to light the rocket at night. Night shots will be added here later. The plaque was set at the edge of the elevated round plywood stage. 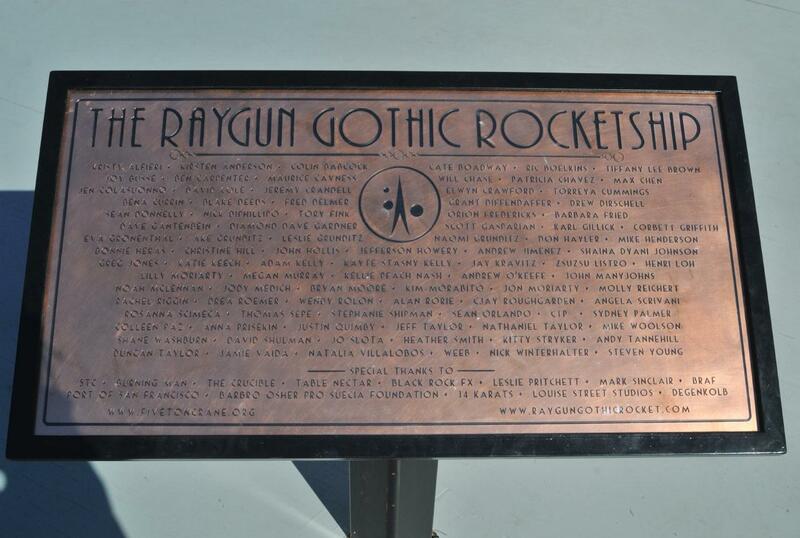 It listed what appeared to be all the atrtists that took part in the construction of the rocket ship, other contributor such as studios, and the names of those who donated funds. Included at the bottem of the plaque was a web reference to Five Ton Crane . 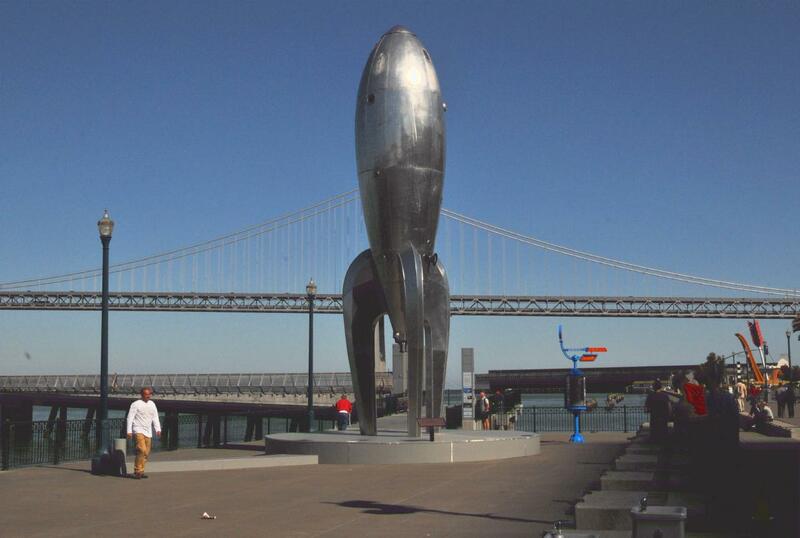 The rocket was placed so that its backdrop would be the San Francisco side of the Bay Bridge. This shot shows its orientation to pier 14 and to Cupid's Bow in Rincon Park behind and to the extreme right.